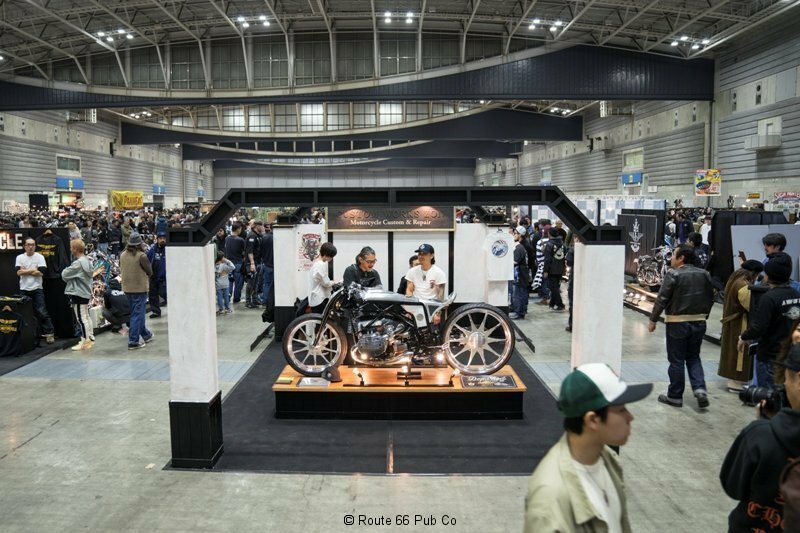 One of the most prestigious custom car and bike shows is held in Japan and is commonly called the Mooneyes Show, although officially it is the Hot Rod Custom Show. 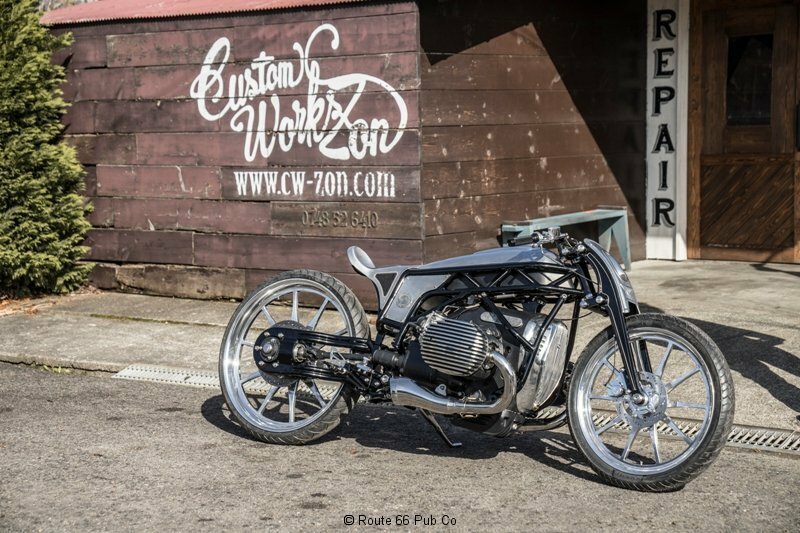 The one day show attracts entries from across the globe but this year’s winning “Best of Show Motorcycle” was a home grown entry from Custom Works Zon with an eye opening engine from BMW. 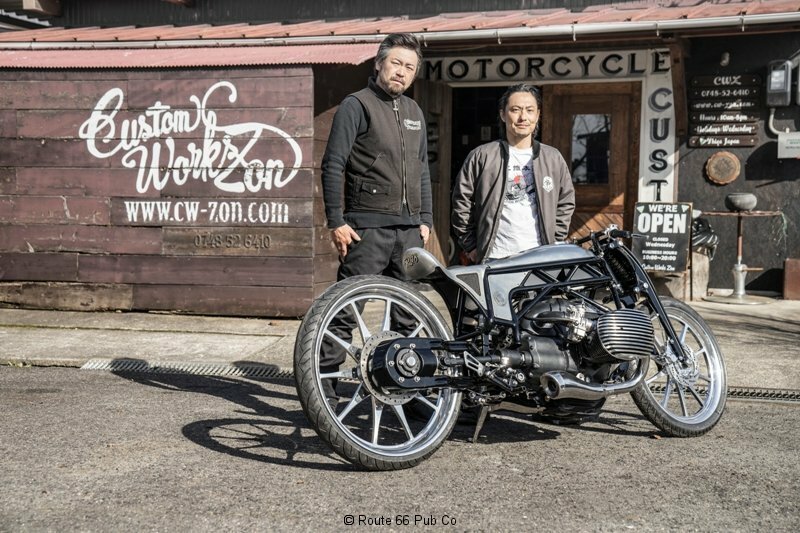 The two leaders at Custom Works Zon are Yuichi Yoshizawa and Yoshikazu Ueda who are no strangers in the motorcycle world. 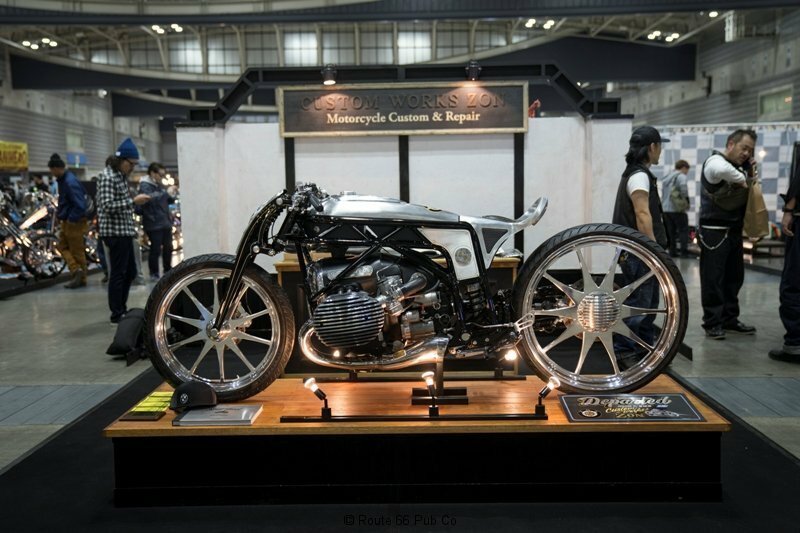 Their creations frequently cross the ocean for American shows. 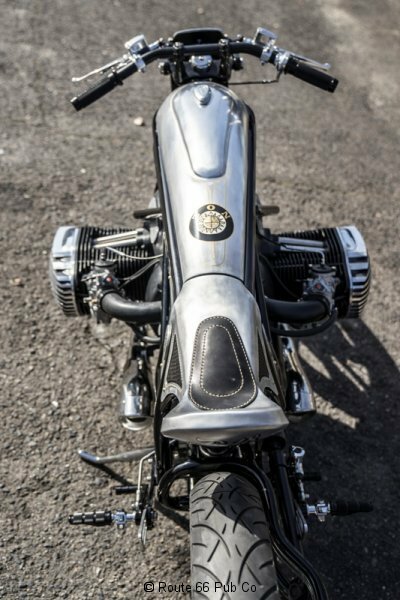 Their entry is shrouded in a mysterious new boxer engine from BMW. 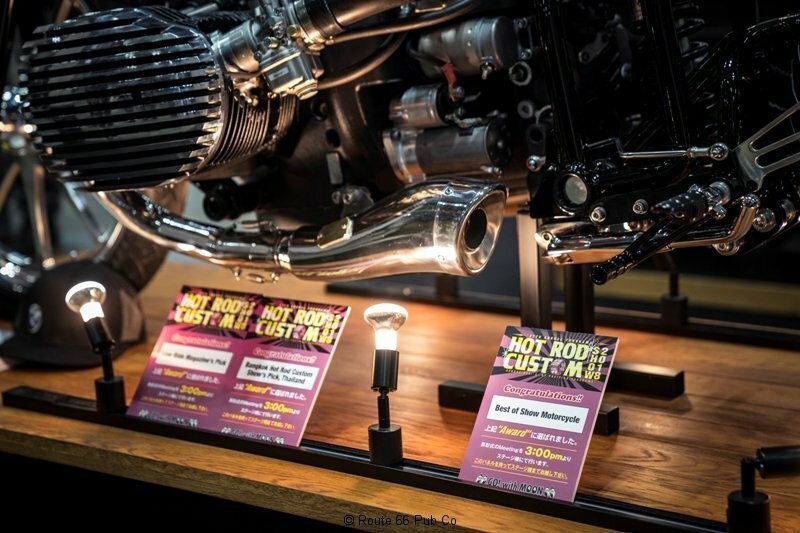 The specs on the engine and further details are still not official. 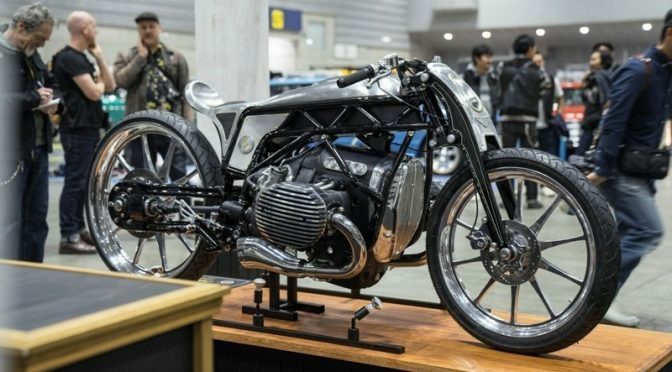 But from this entry you can expect air and oil coolers with a high displacement BMW boxer style engine. 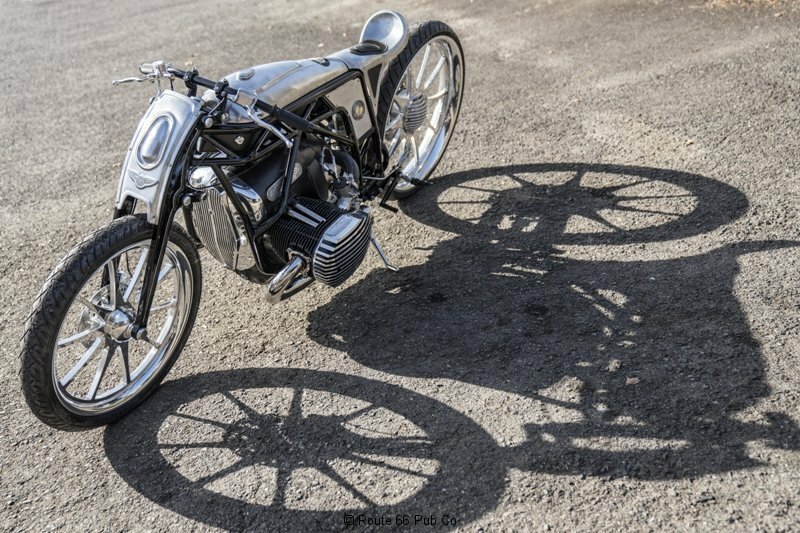 The bike itself feature a low profile and skinny tires, 21″ up front and 25″ at the rear. 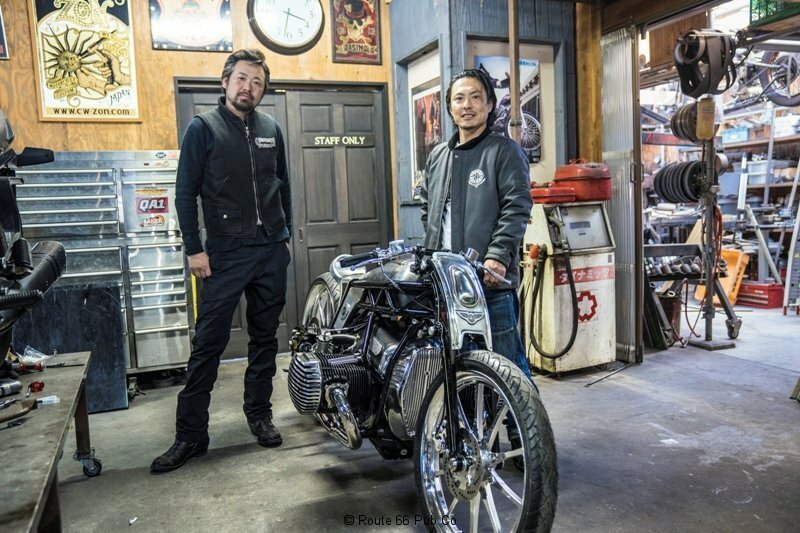 The folks at the shop hand crafted the tank, seat and trim. 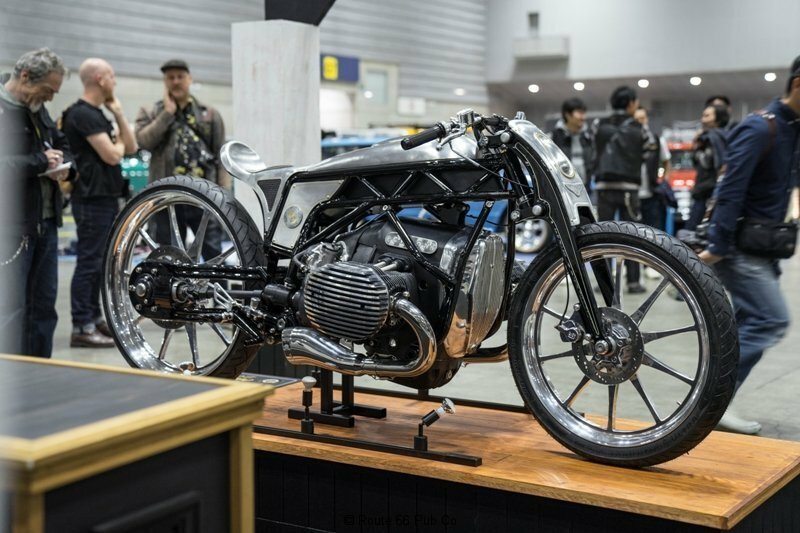 Given that over 650 bikes are typically entered at this Yokohama show, nabbing the coveted top prize was quite an honor for the duo and BMW. Can’t wait to hear more about the engine.